Valentine’s Day is almost upon us once again, and whether you’re a fan of hearts and flowers or the mere mention of February 14th makes you scoff, there’s no denying that the spirit of romance can be pretty darn infectious. I love that modern Valentine’s Day is thoroughly personal, and that you’re just as likely to catch a film with your friends as you are to dress up and go for a meal with your other half. It’s a little reminder to cherish the most special relationships in your life and show them some love, no matter whether that’s your wife, your best friend, your cat… or yourself! So whether you’re a Romantic, a Seducer, or a Self-Indulger, enjoy Valentine’s Day in your own way. For them, Valentine’s Day is the most wonderful time of the year. They go all out with fabulous gifts and a seriously special date night – there’s no quenching their enthusiasm! If this sounds like you or someone you know, these romantic treats will prove to be irresistible. 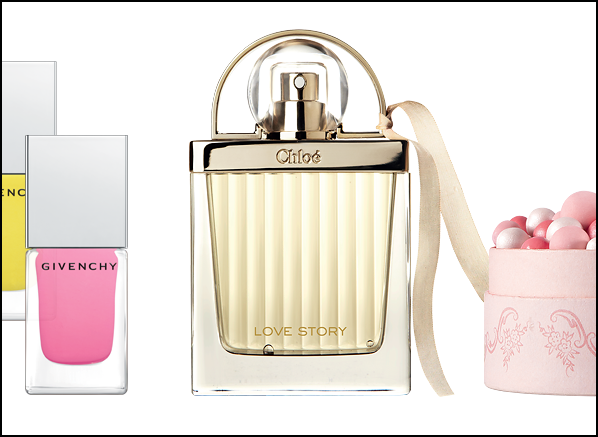 Chloe Love Story Brand new from Chloe is this wonderfully pretty orange blossom and stephanotis jasmine fragrance inspired by the love locks that adorn the Pont des Arts in Paris. Guerlain Meteorites Perles de Blush This beautiful blush from Guerlain nails the most quintessential of romantic makeup looks: a flush of youthful baby pink worn high on the cheeks. Givenchy Le Vernis Nail Lacquer in 25 Rose Evocation Though this fun-filled flash of candy pink seems sweet, the satin-matte finish gives it a couture edge. Cartier Declaration The definite fragrance of romance for men. At the heart of this sensuous composition is the rose, made masculine with icy spices and rich woods in the base. REN Tamanu High Glide Shaving Oil For the closest shave with the softest result, use this nourishing and smoothing oil. Your razor will glide over skin like silk. Lab Series Pro LS Lip Balm Discrete, unscented and seriously moisturising, this fuss-free balm will make your lips are prepped for Valentine’s kisses. The art of seduction is all about looking and smelling good. If you plan to do some wooing come Valentine’s Day, you can’t go far wrong with this high impact selection of aphrodisiac fragrances and alluring beauty and grooming buys. 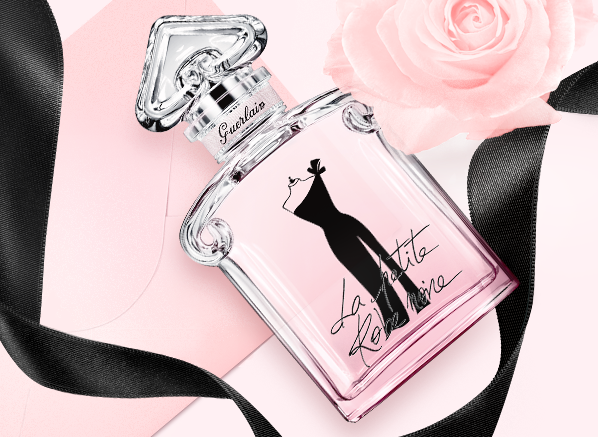 Agent Provocateur Fatale A sensuous fragrance that’s in equal parts naughty and nice. Buy the 50ml or above and receive Agent Provocateur knickers for free. Givenchy Rouge Interdit in 20 Illicit Raspberry Draw attention to your mouth with this vivacious hot pink with a tactile texture that stays put for hours. 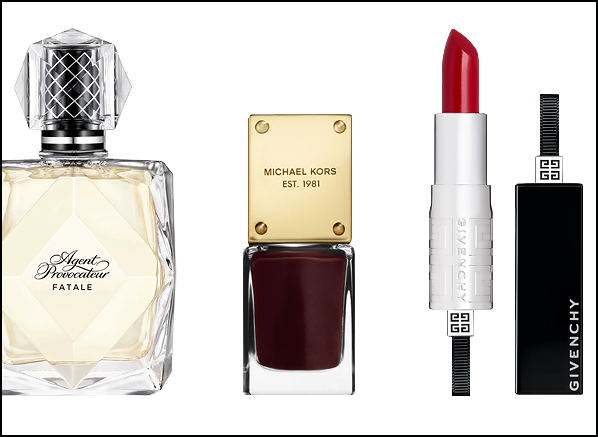 Michael Kors Glam Nail Lacquer in Desire This vampish shade creates the perfect high-impact manicure in a flash, with great longevity and shine. BVLGARI Man In Black This fragrance is pure seduction. Notes of rum, leather accord, tonka bean and woods make for a confident and triumphant combination. Lab Series Body Ab Rescue Body Sculpting Gel Tighten up those abs with this ultra energising gel, which smooths and firms with caffeine and creatine. Acqua di Parma Collezione Barbiere Shaving Razor and Stand To court desire you need the right tools – grooming doesn’t get much better than this ultra luxurious razor. Claim Valentine’s Day back from the lovers – it’s time to look after number one! Taking some time to recoup and recharge is the ultimate gift you can give to yourself. So ditch the dinner, kick back, and get settled for a Netflix binge with plenty of food and pampering treats. 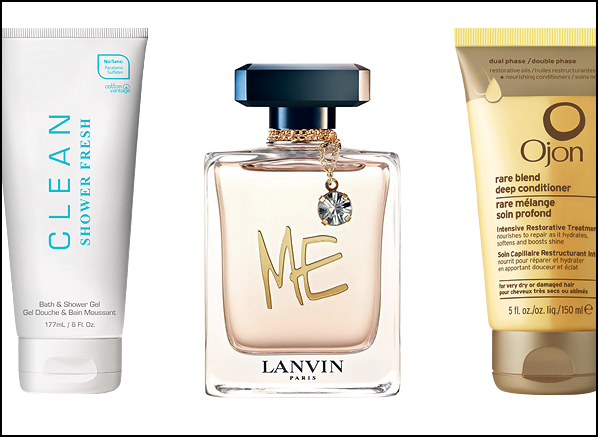 Lanvin Me Eau de Parfum Treat yourself to a fragrance that is entirely ‘you’. This offbeat scent has plenty of character, with dazzling notes of blueberry, liquorice and rose. Clarins Pampering Favourites Body Care Collection Gift Set Buff, moisturise and tone with this well-edited gift set featuring some of Clarins’ bestselling luxury bodycare. Ojon Rare Blend Deep Conditioner No date? No problem. Pop this deeply conditioning formula on as a mask and let it do it’s thing while you focus on your favourite film. Jean Paul Gaultier Le Beau Male Eau de Toilette A fragrance so laid back, it’s practically horizontal. Le Beau Male is cool, icy, intensely fresh and perfect for lounging. Jack Black Deep Dive Glycolic Facial Cleanser Replenish your skin on your evening in with this powerful unclogging, repairing and skin smoothing mask. Clean Shower Fresh Bath & Shower Gel The freshness of just-showered skin… in the shower. It sounds pretty meta, but the scent of this gel is as relaxing as they come. This entry was posted on Monday, February 2nd, 2015 at 3:22 pm and is filed under Fragrance, Make-up. You can follow any responses to this entry through the RSS 2.0 feed. You can skip to the end and leave a response. Pinging is currently not allowed.